Truly, what on earth am I doing?! I’ve been thinking for a bit about having a blog, and inevitably I come back to the question of why? Why on earth do I need a blog? Who would I think would read, and what would I write about? Well….I have no idea who will read. I have an inkling what I will write about, and that is mainly why I want to have a blog. Life is going by a little too quickly for me at the moment, and this is my way of slowing things down. I want to have a space where I can think, where I can wave my hand at some friends and shout across the country about what is happening in this corner of reality. Actually, off I go. I’m not telling anyone about this little venue for thoughts until I have a few thoughts. This is just my kick-off post. To actually commit to doing this for a bit. Oh, and the title….I hate coming up with titles. So I stole this one. 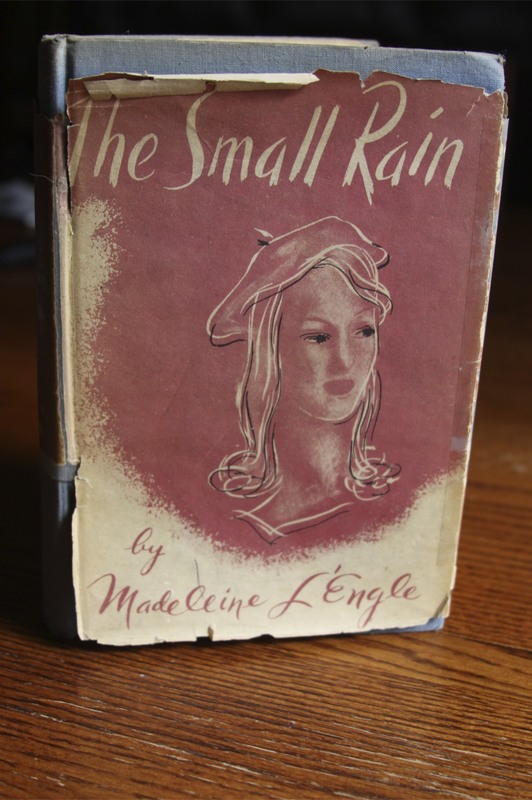 It’s from Madeliene L’Engle’s first novel, The Small Rain. 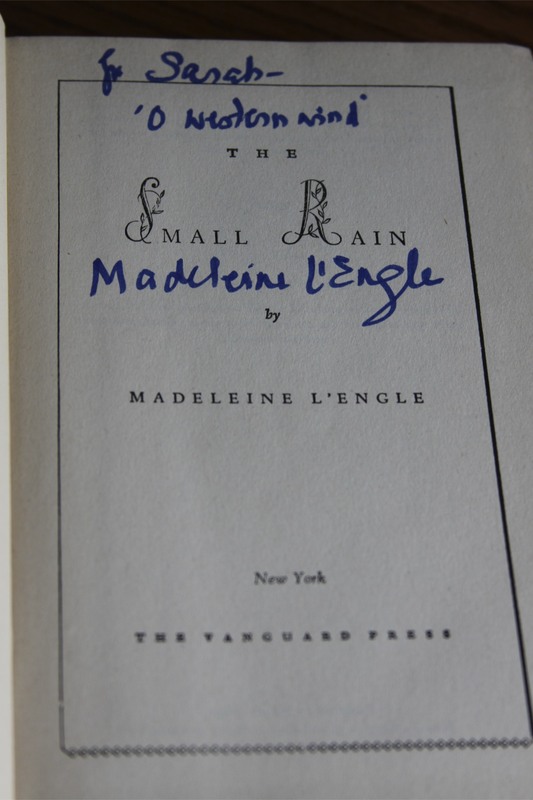 One of my favorite novels, made all the more favorite because, well, she signed my copy of her first edition. Sometimes, I think we need the small rain. Not the flooding, overwhelming downpour, but just the small rain that comes and refreshes. That is part of what this blog is about…a chance to refresh and think. So, The Small Rain. Off we go. Love it! I recently read the book, “Downpour” by James MacDonald, and found it a bit overwhelming. I think small rain is more my speed, at least for this season. Great blog, Sarah! Hey Kevin! Thanks for coming by!!! Yeah…after the flooding here, um, downpours tend to scare us! Thanks, Noelle. How are you doing? Is your house too quiet this morning? Been thinking of you…. Yes, house is still!Thank you! I am doing ok. Will be better when I hear he has arrived safely. The drive from North Idaho to North Dakota in sub zero temps is not the safest. Well…I’m going to do a post on cooking if I have time before I leave for Home Group tonight. Making a custard pear pie (looks better than it sounds 😉 ) and pumpkin black bean soup. I’ll tell you more about it in a minute….there’s a reason I’ve been taking pictures of my food! I just realized that post made no sense….I mentioned it because I know you love to cook and I thought I’d distract you with a thread on cooking! Hopefully I’ll have it up in a bit…or after Biblestudy tonight. Praying for the quiet to not be too quiet for you. Okay….new post will have to wait until after Biblestudy! Now HERE’s a blog I KNOW I will want to follow!